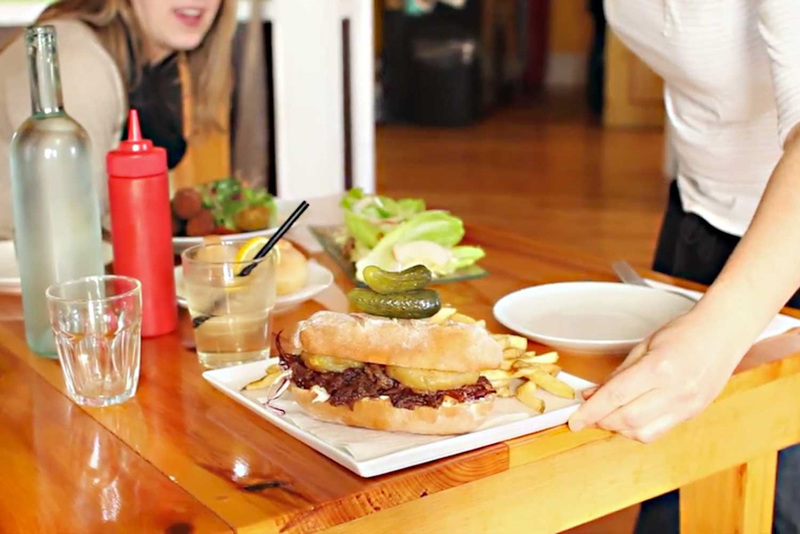 Pulled pork sandwich and hand-cut fries served by Wild Caraway, a restaurant tucked away in Advocate Harbour, Canada (photo: Taste of Nova Scotia). 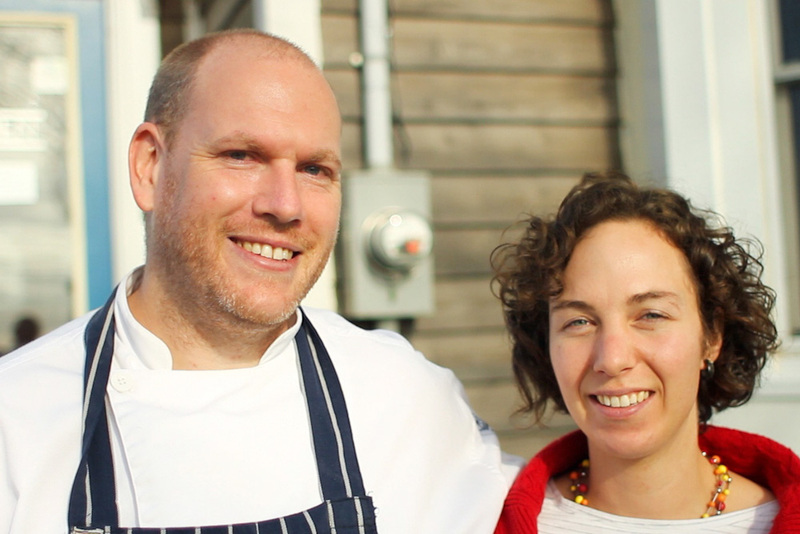 Andrew Aitken and Sarah Griebel, owners of Wild Caraway Restaurant and Cafe in Advocate Habour (photo: Taste of Nova Scotia). 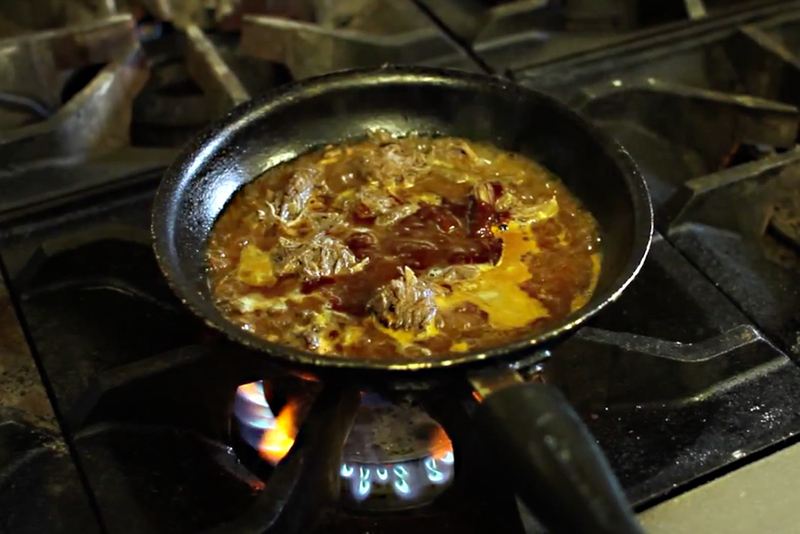 Sizzling fire in the kitchen of Canada's Wild Caraway Restaurant and Cafe (photo: Taste of Nova Scotia). 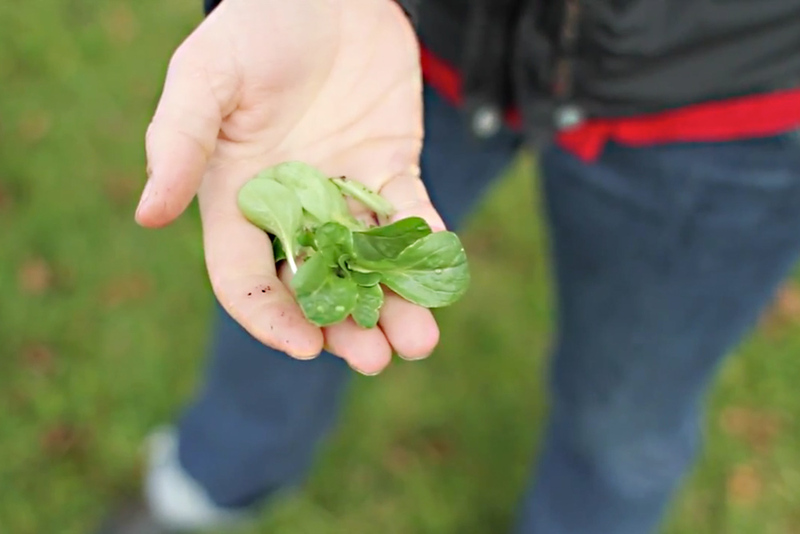 Fresh herbs plucked directly from the garden of the Wild Caraway Restaurant and Cafe in Advocate Harbour, Canada (photo: Taste of Nova Scotia). 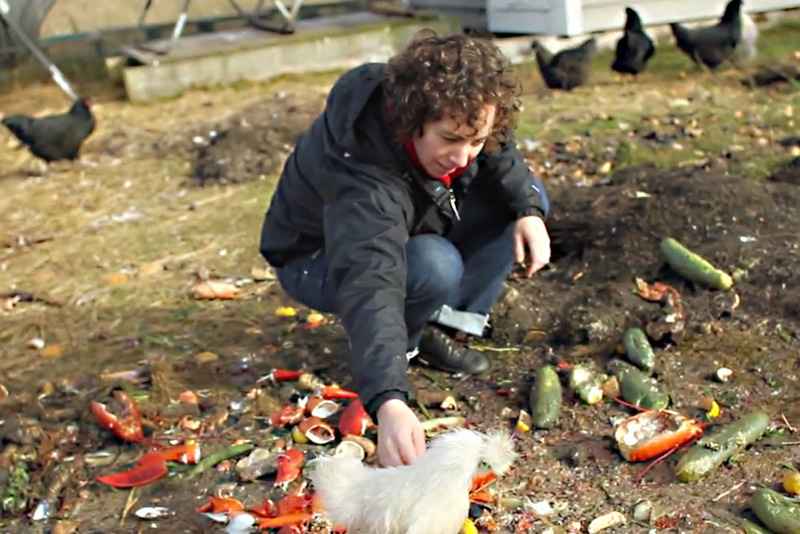 Wild Caraway owner, Sarah Griebel feeding the chickens in Advocate Harbour, Canada (photo: Taste of Nova Scotia). 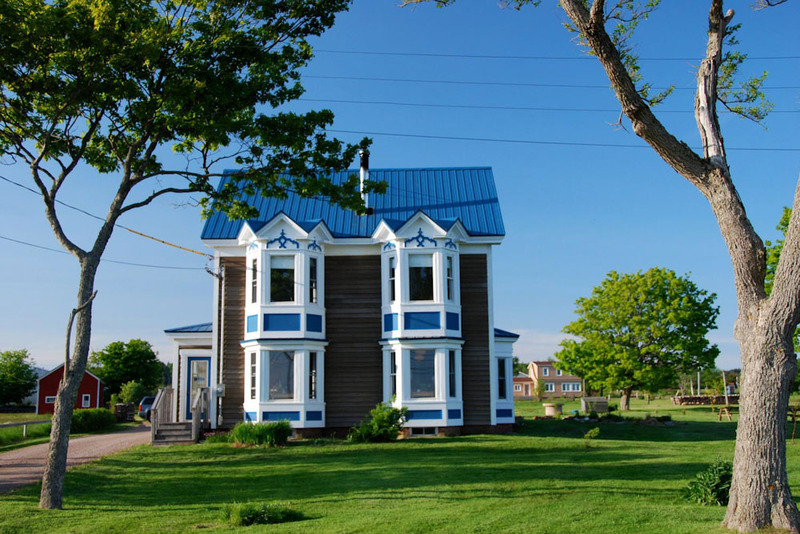 Wild Caraway's charming white and blue exterior against a crisp blue sky (photo: Taste of Nova Scotia). By day, paddle one of the world’s most extraordinary tides, at night eat at Wild Caraway, a Canuck favourite with a Melbourne chef. By Nikki Bayley. I’d spent the afternoon enjoying one of Canada’s natural wonders, the Bay of Fundy, which has the world’s largest tides. In the morning you can walk on the red-sand beach and see towering sea stacks and tide-worn arches, then as the sea rapidly rises some 14 metres, you can kayak above it, paddling above those same stacks. This is an isolated part of the world. The tiny hamlet of Advocate Harbour has some 200 inhabitants and I set out for dinner expecting pub grub if I was lucky. Instead I remember an amuse bouche of silky bisque bobbing with fat chunks of lobster with a faint echo of something exotic – maybe a warming ginger or fragrant spice – in the mix. An all-local seafood sampler with tart pickled herrings paired with a jammy apple and celery chutney and waxy rich smoked char (a type of trout) slathered with an incredible cold-smoked sour cream; a delicately floral rose crème brûlée; this was far from pie and chips. I’d happened upon one of Canada’s culinary secrets, whipped up by ex-Melbourne Jacques Reymond alumnus, chef Andrew Aitken and served in a beautiful 150-year old converted home. After meeting his life and business partner, Sarah Griebel in Melbourne, it took a trip back to Sarah’s home country to change Andrew’s culinary path. “We came here on holiday, to visit Sarah’s family, and just loved it. Nova Scotia has so many unique things,” Andrew says. An opportunity arose to take over a cafe in the area then the community doctor’s residence came up on the market and Wild Caraway was born. And serving up pub grub was never going to be on the menu. “When I created my first menus I’d just got off a plane from Australia, I love Asian food and think the whole world is my resource, so those early menus reflected that,” continues Andrew. Describing his culinary style as ‘contemporary Nova Scotian’, Andrew sees Wild Caraway’s food as an extension of his work in Melbourne. “I cook in almost the same style as I did at home and run with the seasons too,” he says. “I guess we excel in wild produce here, and we use lots of wild flowers: primrose which has a delicate and polite flavour, honeysuckle and jasmine in vinegars for dressings. It’s an ancient way of using the flavours of the area that’s not been in use since local First Nations showed Acadian settlers how to eat the vitamin C-rich plants to make it through the tough winters. In fact, it’s that constant change in nature’s bounty that inspires Andrew: “I keep a journal of what we pick and the new and exciting things we find to forage. And what about being considered a ‘hidden gem’? Wild Caraway is open seasonally between mid-April and November 1. Location: 3721 Highway 209 in Advocate Harbour, Nova Scotia.